The International Space Station may soon have its very own Star Trek food replicator. Earlier this month, NASA awarded a $125,000 six month grant to the Systems & Materials Research Cooperation to design a 3D printer capable of printing a pizza from 30-year shelf stable foodstuffs. Founded by Anjan Contractor, SMRC built a basic food printer from a chocolate printer to win NASA’s Small Business Innovation Research Program in a trial video. 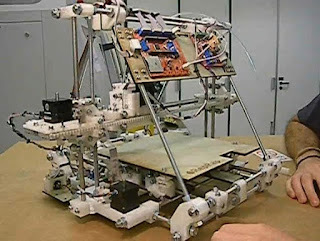 The design is based on an open-source RepRap 3D printer. Contractor and SMRC will begin construction on the pizza-printing prototype in a week. Pizza has been one item missing from astronauts menu for years. The 3D printer would "build-up" a pizza serving by first layering out the dough onto a heated plate then adding tomato sauce and toppings. But this is not an ordinary pizza, as the proteins would be provided by cartridge injectors filled with organic base powders derived from algae, insects and grass. Of course, one can see an immediate application of 3D food printing technology for long duration space missions. Contractor and SMRC envisions 3D food printing as the wave of the future, with the capacity to solve world hunger for a burgeoning human population. Could a 3D food printer be coming to a kitchen near you? The International Space Station is due for the delivery of its first 3D printer in 2014. This will give astros the capability to fabricate simple parts and tools onsite without requiring machining. Of course, the first question on our minds is: How will a 3D printer function in zero-g? Will one have tomato paste an insect parts flying about? 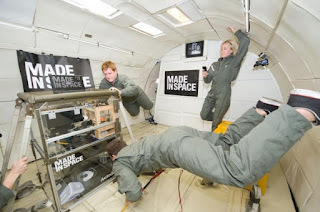 Recent flights aboard a Boeing 727 by Made in Space Inc have been testing 3D printers in micro-gravity environments. Further afield, 3D replicators may arrive on the Moon or Mars ahead of humans, building a prefab colony with raw materials available for colonists to follow. Will 3D food replicators pioneered by SMRC be a permanent fixture on crewed long duration space missions? Plans such as Dennis Tito’s Mars 2018 flyby and the one way Mars One proposal will definitely have to address the dietary dilemmas of hungry astronauts. Biosphere 2 demonstrated that animal husbandry will be impractical on long term missions. Future Martian colonists will definitely eat much farther down the food chain to survive. SpaceX head Elon Musk has recently said in a Twitter response to PETA that he won’t be the "Kale Eating Overlord of Mars", and perhaps "micro-ranching" of insects will be the only viable alternative to filet mignon on the Red Planet. Hey, it beats Soylent Green… and the good news is, you can still brew beer from algae! Would YOU take a one way journey to Mars? Would you eat a bug to do it? It’ll be interesting to watch these 3D printers in action as they take to space and print America’s favorite delivery fast food. But it’s yet to be seen if home replicators will put Dominos Pizza out of business anytime soon. Perhaps they’ll only be viable if they can print a pizza in less than "30 minutes"! 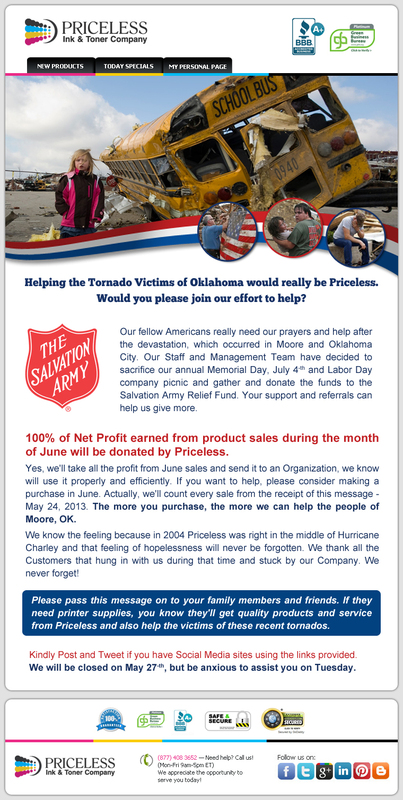 Let's help the victims of the devastating tornado in Oklahoma! Report published by United Nations Environment Programme (UNEP) highlights growing significance of remanufacturing industry. The report, titled "Green Economy and Trade: Trends, Challenges and Opportunities", was published on 8 May and features a section on remanufacturing in which the environmental benefits of remanufacturing are highlighted, along with the industry’s "increasing significance" in certain fields and global regions, such as China and Africa. 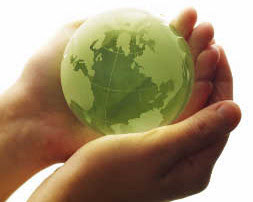 The aim of the report was to identify international trade opportunities that arise from developing a green economy, identify policies enabling industries to pursue these opportunities, and help to develop the capacity necessary to establish a green economy through sustainable trade; with remanufacturing being promoted as an opportunity for creating green trade opportunities. Noting that remanufactured products can save consumers "typically in the order of 30% to 40% less than comparable new products", the report states that remanufacturing "offers potential for new national business ventures within developing countries" as well as new export opportunities. It adds that in certain fields, such as motor vehicle components, electrical data and communications equipment and laser toner cartridges, remanufacturing is growing in significance, particularly in China which is “making remanufacturing a key part of their industrial strategy". The environmental benefits of remanufacturing are also mentioned in the report, which states that "remanufacturing operations worldwide are already saving approximately 10.7 million barrels of oil each year" as well as saving "significant volumes of water and raw materials". It therefore concludes that remanufacturing is a good way for governments to "clean up municipal waste, save energy in domestic industry and create jobs". A further benefit of remanufacturing detailed in the report is that remanufactured goods are able to "meet the criteria for new goods without additional quality and safety requirements that sometimes apply to refurbished goods", with some countries agreeing that import restrictions should not be applied to remanufactured products and that such products should be treated in the same way as new goods. While the report shows remanufacturing in a positive light, it recognizes that a "major obstacle" for the industry is the need for "active cooperation from original equipment manufacturers (OEMs)", noting that as there is no end-of-life tax on product disposal, incentives are created for OEMs to "build obsolescence and replacement into their business model in order to save costs from value chain modernization". It adds that "remanufacturing contributes towards fostering incentives for value chain modernization by creating new business models that focus on services instead of products" and that the incentive effect of remanufacturing can be enhanced by end-of-life waste disposal taxes of manufacturers "making component re-use and recycling attractive tools for cost saving". 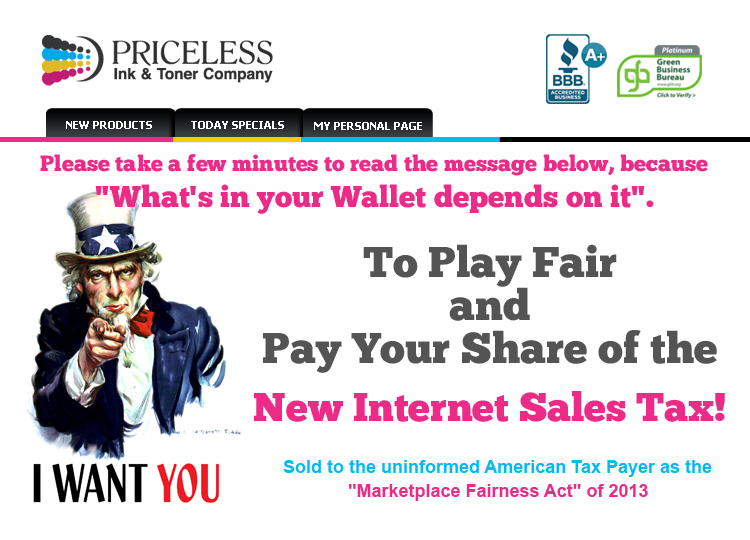 Say 'No' to the New Internet Sales Tax! Why YES, while the snow was melting and Americans were busy with Spring cleaning and planning a wonderful Summer Vacation, our Boys (Harry and The Internet Tax Tag Team) were busy conspiring to stick their cruddy little hands into your pockets. True they haven't done much work on creating a workable Budget and finding ways to eliminate Billions in Government Waste programs (the robotic squirrel is still getting his millions in funding) but they quickly jumped on their "Mega-Retail Protection Act" because they knew nobody was watching. Friends, family members, customers, hard working Americans, you just can't sit back this time and take on the chin! You need to write or call your Representative today and tell them that this is the wrong thing to do. We as Americans are truly "Over Taxed" and under represented. Washington and the States need to clean up their own wasteful spending. There is no "Fairness in this Taxing Bill" and will result in small businesses closing, less employment, less competition and less consumer spending. This Tax Bill is the Brain Child of Wal-Mart and the other Mega Box Stores, who would like to destroy their online retail competition and the end result will be ... You the American Consumer will pay higher Online Pricing, along with a New Sales Tax that may end up being as much as 10%. Wal-Mart and the other Mega-Retailers will make more money and invest in growing their businesses overseas. Is that the "Fairness" that Senator Reid speaks about or is it a matter of Campaign contributions and more Crony Capitalism? 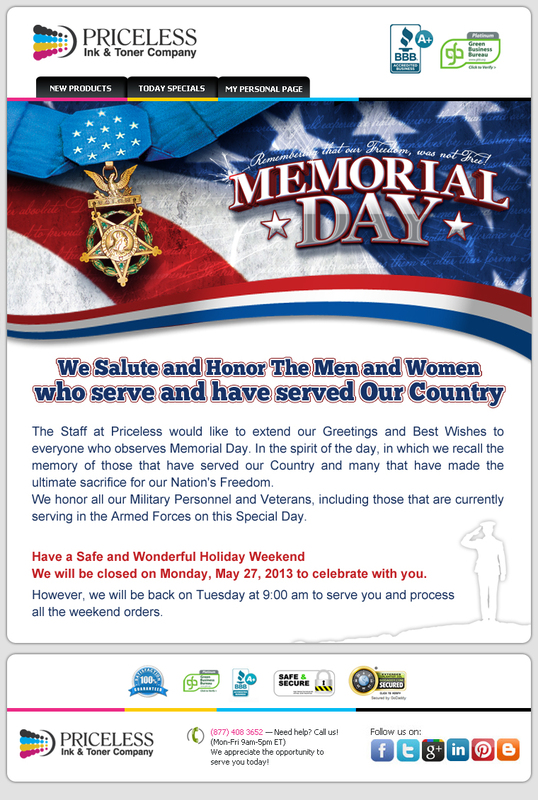 Believe me, Staples would love to see companies, such as "Priceless Ink" simply go away. Please take 5 minutes of your valuable time to send a similar message to your Congressman/Congresswomen. As a voting Constitute in your District, I would ask you not to support the "Marketplace Fairness Act" or whatever they call it, because it is neither fair or necessary. As it is "We The People" are taxed and over burden with new Government Regulations in our lives. We prefer that Congress and the State work on cleaning up the waste and fraud which, already has been out of control for many years. The lame excuse that this "Tax Act" is required for companies such as Wal-Mart and other nationwide retailers to have fairness in the Marketplace is truly a lame reason to impose new taxes on the Citizens of our State and our shopping preferences. We ask you support the Citizens of our State and local Community and "Just Say No" to any new Tax scheme. We certainly will watch who votes with the People and who will vote with Wal-Mart and The Tax Tag Team. Every time a new Tax is paid, we'll remember. Thank you for your time and consideration regarding this important issue for the hard working tax payers. Our Government was quick to bail out the Banks and now the Mega-Retailers want a similar favor. Below are some links to interesting articles you can read or you may find a multitude of opinions online by searching Internet Sales Tax or Taxation without Representation. As more Americans become informed and realize that this new Scheme is really a way for Uncle Sam to begin testing the waters for a new Nationwide "Value Added Tax" referred to in Europe as VAT. THERE IS NO VALUE ADDED but you pay anywhere from 15% to 20% tax on commonly purchased goods. Let's really stand our ground and unite the effort to stop this Internet Sales Tax. For those that feel their State needs additional revenue they are free to mail in a check for all their Internet purchases and pay the Use Tax, which already exists. Please forward this message to everyone that you know, who is concerned with paying a new tax! Epson Expression Photo XP-850 recognised by Technical Image Press Association (TIPA). Epson has announced that its Expression Photo XP-850 photo printer has been voted "Best Multifunction Photo Printer" 2013 by TIPA members, which include editors and journalists from photography magazines worldwide. Members of TIPA judge products launched over a 12-month period in terms of their innovation, technology, design, ease-of-use and price-to-performance ratio; shortlisting those that stand out and deciding upon a winner for each category. The association has members in nine European countries as well as Australia, Canada, China, the US and South Africa; with the award being Epson's 32nd from the association since 1997. Features of the winning printer include the ability to scan, print, copy and fax; wireless mobile printing capabilities using Epson iPrint; and the ability for users to email documents directly to the printer from anywhere in the world. 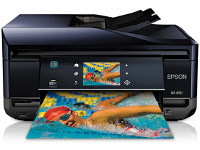 The printer also uses Epson's six-color Claria Photo HD Ink, allowing users to produce high-quality borderless 4" x 6" prints in 10 seconds; and is able to print on heavyweight photo paper and card using a rear speciality media feed. Furthermore, Epson Expression Photo XP-850 is able to print directly onto suitable CDs and DVDs so that family films and digital photo albums can be personalized. Commenting on the award, Mary McNulty, Head of PR and Communications at Epson Europe, said: "TIPA members select the products to shortlist and vote on the winner. The panel has a huge variety of choice so we are very proud that the Epson Expression Photo XP-850 won the award." Source: Epson awarded TIPA award for "Best Multifunction Photo Printer"